A round-up of Brunch and Breakfast Recipes for the upcoming Holidays from some of my favorite food bloggers and recipe sites. So, Terry and I are in the midst of a little dispute. It happens every year, just about this time. I start ‘recipe window shopping', thinking that this is the year I will mix up our regular Christmas brunch menu. I just start wondering if we're missing out on a better recipe because we keep using our ‘regular' one. Whereas, Terry is in the ‘if it ain't broke don't fix it' school. He's happy with what we've had for the past several years, so why would we even think of making a change. Can you relate? Do you share Terry's conviction or the correct one? In any event, like I said, I've been ‘recipe window shopping' and putting all sorts of recipes into my cart just in case this is the year we make the change. So, this is basically what we make (though we haven't added the sage…maybe that will do the trick? ), in addition to a delightful fruit salad and a sweet of some sort. We mix that up from year to year…this year I'm thinking it may be my White Fruitcake. 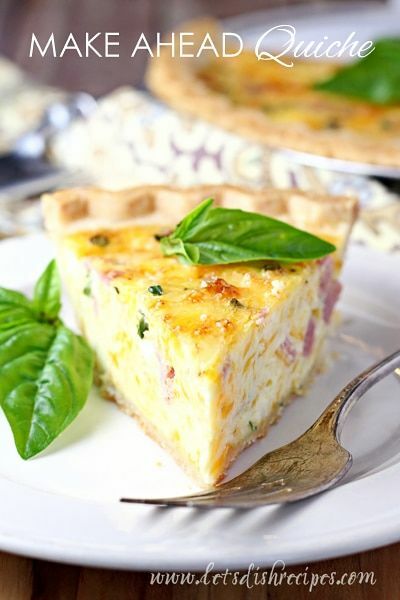 I am really drawn to quiches and they can also be made ahead. You can put them in the fridge unbaked or baked and then either just heat them up or bake them fully in the morning. You could purchase a crust or use Martha Stewart's pate brisee…my go to pie crust recipe. and this Caramelized Onion, Goat Cheese and Herb Pie is really calling my name. how can I not consider a recipe with ‘Christmas' in the name? With poblano and red peppers, mushrooms and cheese this Christmas Croissant Breakfast Casserole sounds delicious. This Monte Cristo Waffle Strata really sounds delish. If it doesn't get made for Christmas breakfast, it will get make for dinner over the Christmas break. Nothing beats a good ‘breakfast for dinner' for bringing on the cozy. And this Black Forrest Ham and Cheese Breakfast Casserole had me at pumpernickel! As a lover of bread puddings, this Spinach and Sausage Breakfast Strata really is appealing. Once you've figured out your savory option, you surely need a sweet option to balance. That whole ying…yang thing. I'm chomping at the bit to make this Twisted Snowflake Bread! Isn't it beautiful! And her instructions and images show that it is really a do-able project for major WOW! Say this slowly and let it sink in…Maple Cranberry and Dark Chocolate Scones. Yeah, that's what I'm thinking too. 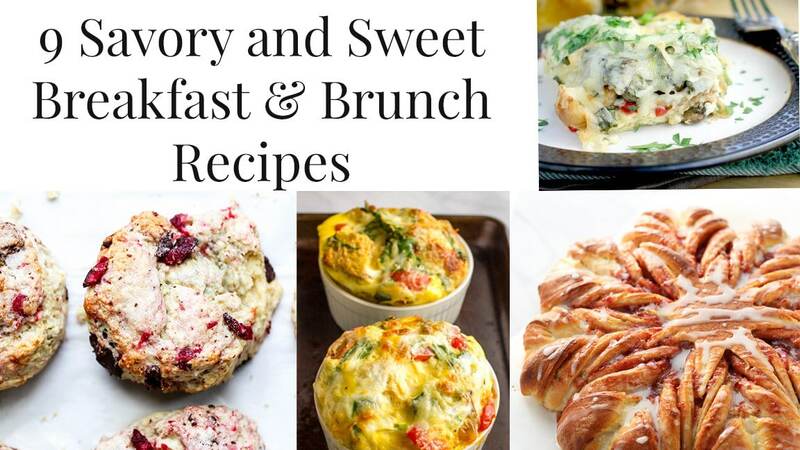 I hope you found some brunch and breakfast recipes that you can use over the holidays. I still am not sure what we will be doing…still working on Terry! Well my friends, I wish you a wonderful holiday! I will be keeping a low profile for the next couple of weeks. My daughter will be home from school, so I'll be soaking her up, baking and wrapping. We are also going to squeeze in a quick trip to DisneyWorld! I will be back at the beginning of January and can't wait to catch up with you then. Thanks again for spending a few minutes of your busy day with me today. Please know that you are appreciated and that I welcome each and every comment that comes my way. If you want to make sure you don’t miss future content, pop your email in the beige box up on the right or click here. I usually send out 2-3 emails a week, so I won’t inundate your inbox…believe me, I’m sensitive to an overflowing email inbox! 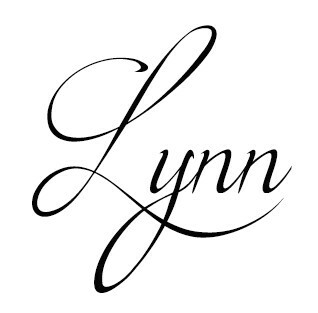 Printables and knit patterns are available to all of my subscribers in the Subscriber Benefits Library. I will continue to add patterns and printables to this page as we go along. You can also access all the products I referred to in all of my posts on my brand new Nourish and Nestle page on Amazon. You can access it here. So, if you’d like to get in on the ‘subscriber benefit’ action, simply subscribe to Nourish and Nestle here or using the form on the right sidebar. It’s towards the top a bit. I have sent all my subscribers the link to the Subscriber Benefits Library, but if you missed it or misplaced it, drop me a line. Thank you for the quiche recipe! Thanks for sharing these, they all look so good. I’m hungry now!